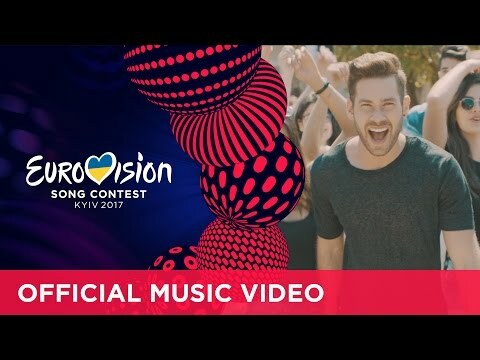 The national final in Israel has changed in the past years and even this year only the singer has been chosen in the “Hakochav Haba 2017” show (Rising Star), all participants had to sing cover songs, where Imri Ziv could convince the Israeli TV spectators and the five jury members with his voice. Some weeks later the song has been presented with a video-clip. This is probably due to the fact that last year the winning song had to be completely re-arranged, this was to avoid. 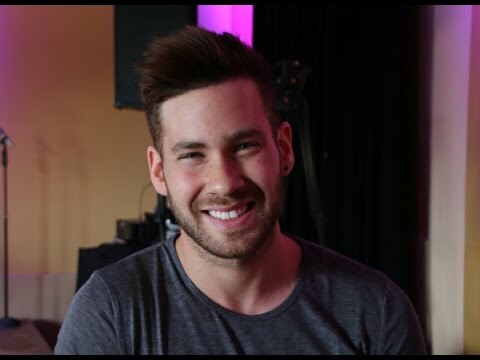 Imri is no stranger to the ESC, he has been the background singer in 2015 and 2016, so this is a great advantage to the other singers, who have not been on a Eurovision stage before. This time Imri is appearing as a solo artist in front of many millions watching. Imri Ziv was born in Hod haScharon in 1991 and been raised close to Tel Aviv. One of his grandparents come from the Ukraine, this can be seen as good omen. He studied music at the Ilan-Ramon school playing guitar and piano and also participated in the choir of the university. In 2012 he took part at The Voice Israel. Since then Imri performed in dozens of concerts all around the world. Currently he studies visual communications in the second year. The Israeli entry “I Feel Alive” is a pop dance song which reflects the positive lifestyle of the trend city Tel Aviv – the sun is shining, the beach is close and young people are dancing and having fun. This is the feeling by watching the ambitious video-clip of Imri. If he can transfer this atmosphere to the stage in Kiev, he will definitely shape up well. Israel is celebrating its 40th anniversary in the Eurovision Song Contest this year! Congratulations! Israel joined the Eurovision Song Contest in 1973. The debut entry “Ey-Sham” by Ilanit made a very good 4th place in Luxembourg. Since then, the Israeli entries brought a new energy in the contest full of good music and joy. In the history of Israel in the ESC there were many strong, outstanding and unforgettable songs. Within the past 39 years, Israel has been in the Grand Final for 33 times, and reached the Top10 19 times. The chance to reach a Top10 place for Israel is approximately 49%, which above the average. Three times Israel could win the Eurovision Song Contest. One year after the first victory of Izar Cohen & The Alphabeta with “Abanibi”, Israel won successively with “Hallelujah” by Gali Atari & Milk & Honey on home ground. The extraordinary victory of the Dana International was legendary, when she sang her anthem“Diva” in Birmingham 1998. Israel is also popular for great choreographies, especially in the 80’s and 90’s the traditional formation dance was strongly used in the Israeli contributions and has been mimicked from other countries, but not as successfully. The contest is enjoying a great interest in Israel and has huge viewing figures every year. Due to the introduction of the Semi Finals in 2004, Israel is not always among the finalists, out of 13 times, Israel could only qualify seven times, lately with “Made Of Stars” by Hovi Star, which came 14th in the Grand Final in Stockholm.